“All things share the same breath.” – Chief Seattle. 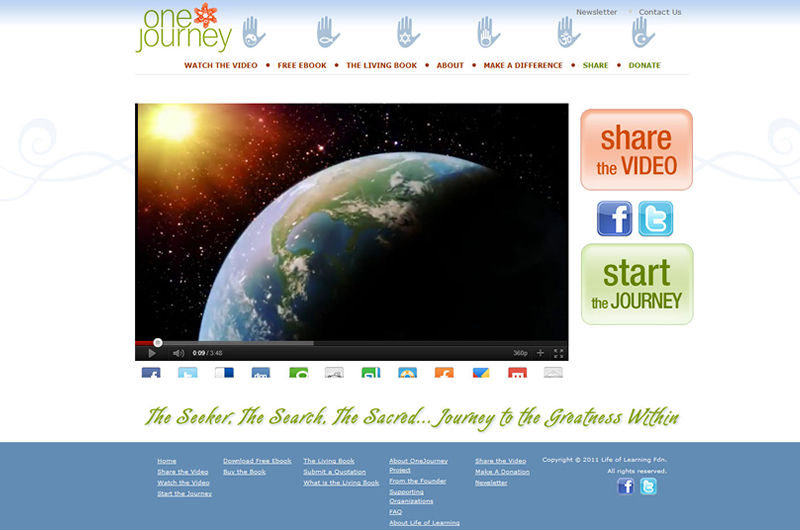 From Oregon’s own Guy Finley and the Life of Learning foundation, OneJourney tells the story of how all of us — no matter our country, culture, religion — are united by our spiritual journey. From beginning to end, just a wonderful experience working with Erin on our new website. Not only is Erin a fantastic designer with a keen eye, she also possesses all of the qualities you want when working with a consultant — very organized, thorough, responsive, accessible, flexible, always on time with deliverables, maintains expectations throughout the entire process perfectly... and somehow she manages to balance all that professionalism with a bright, warm, open, fun, genuine personality, too. I've worked with many consultants (and been one myself) — Erin is truly a rare find!